Choose from 51 hotels and guest houses in South Yorkshire. Shown below a just a selection of the hotels available. To search within an area please use the menu on the right. Modern and stylish, this hotel is within walking distance of the Doncaster Airport terminal and has all the facilities needed for a great night's sleep and a relaxing break. With free parking, the Ramada Encore Doncaster is within 15 minutes of Doncaster town centre and Doncaster Rail/Coach Interchange. Accessible from many UK motorways, including the M1, M18, M62 and A1. Ramada Encore bedrooms are bright, spacious and air conditioned. Each has a modern bathroom (with power shower), flat-screen TV with radio and pay movie channels, direct dial telephone, desk space and high-speed internet access. Accessible rooms are available on request. The HUB restaurant and bar offers the perfect place to relax. Serving a wide range of wines, beers and spirits, and a choice of modern European meals, the HUB is relaxed and informal with free Wi-Fi. This hotel is set in the stunning Mayfield Valley amid picturesque countryside on the edge of the Peak District. The Norfolk Arms is a recently renovated, historic Grade II-listed coaching inn. It offers fantastic views, a restaurant and bar, meeting rooms and conference facilities. 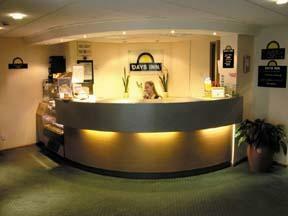 The hotel is an excellent base from which to explore the Peak District National Park or Sheffield city centre. Ideally located within easy reach of the M1, M18 and A1 motorway networks, this hotel is ideally placed for Rotherham, Sheffield, Doncaster and surrounding areas. The Best Western Consort Hotel is a fantastic venue to suit all your needs. Air conditioned throughout, the hotel has 27 luxury bedrooms, a modern restaurant, and a range of conference suites. For a wedding or large function, there is a room for up to 300 guests. Welcome Inn is a 52 bedroom no smoking hotel close to the M1 motorway, Meadowhall shopping centre, Hallam FM arena and Don Valley stadium. Continental breakfast is available for ?3.95 per person. All rooms are en-suite with Flat screen tv, air-con, hairdryer, free broadband and parking is free. Family/disabled rooms also available at same price. On site we have a 20,000 sq ft Health Club which is free to hotel guests. Also on site is a 32 lane Ten Pin bowling centre with arcade, wimpy restaurant and bar. Equal distance from Sheffield and Rotherham, this hotel is a few minutes from junction 33 of the M1 motorway and one junction south of Meadowhall. Aston Hotel has state-of-the-art rooms with ultra-modern comforts and facilities mirroring the hotel's stylish, contemporary decor. Complimentary Wi-Fi is available throughout the hotel. Aston's Brasserie and Bar 59 is available for drinks and dining. The hotel's proximity to the area's major roads makes it a great base for visiting either city on business or for exploring the surrounding region. Ibis Sheffield Centre is 1 minute from the Sheffield Supertram and close to the Crucible Theatre, Ponds Forge Exhibition Centre, Hallam University, Carling Academy and the legal district. The hotel is at the entrance to the town centre from the M1. The main train station is a 5-minute walk away. Rooms have air cooling, a flat-screen TV and internet access, and there are some rooms for guests with limited mobility. Ibis Sheffield Centre has a restaurant and a bar serving snacks 24 hours a day. There is public undercover parking next to the hotel. Meadowhall shopping centre and Hallam FM Arena are 15 minutes away by tram. In the heart of Sheffield's city centre, less than 500 metres from the train station and the Crucible Theatre, this stylish and modern 4-star hotel offers luxurious rooms and an indoor heated pool. 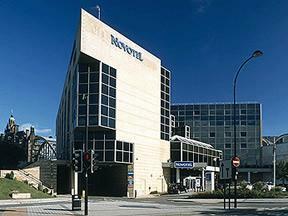 The Novotel Sheffield centre is just 5 minutes' walk from Sheffield Station, the city's central railway station and tram stop. All that the city has to offer is within easy reach, including shops, restaurants, nightclubs, the Don Valley Stadium, Sheffield Arena, and Sheffield United and Sheffield Wednesday football clubs. The newly refurbished en suite rooms are stylish and contemporary and guests also have free use of a health club nearby. The Elements Bar and Restaurant offers a range of dishes, all available in taster, starter and main-course sizes. Up to 2 children (under 16 years) can stay free (with breakfast) when sharing a room with adults. This includes access to video games, baby equipment and a healthy children's menu. Families also get late check-out on Sundays (until 17:00). Providing an excellent base for business and leisure guests visiting Rotherham, Sheffield or Doncaster, the hotel offers an efficient, reliable and professional service with a real emphasis on value. Boasting excellent transport links via the nearby M1 and M18, the hotel is within 10 miles of Meadow Hall Shopping Centre, The Magna Science Adventure Centre, Ponds Forge Swimming Complex, Don Valey Stadium, Hallam FM Arena, English Institute of Sport , Sheffield Ice and Virtual Ice Rotherham. Offering 51 comfortable and tastefully decorated en suite rooms, as well as a relaxing bar and informal restaurant offering affordable homemade cuisine, the Restover Lodge Hotel is a friendly, independent hotel in Rotherham, with a welcoming and friendly atmosphere. 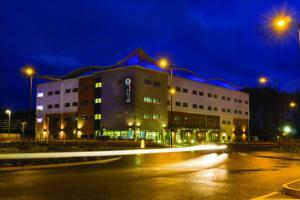 The Holiday Inn Doncaster is ideally located off Junction 36 of the A1(M). This beautiful retreat is perfect for both business and leisure travelers. 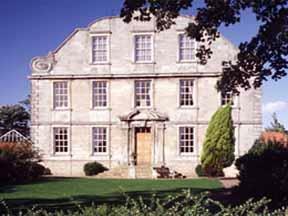 Situated in the grounds of the 17th Century Warmsworth Hall, it offers guests every comfort and convenience. This hotel has recently been refurbished including the installation of air-conditioning in all bedrooms which is unique within the Doncaster area. Furthermore, the Restaurant & Bar have been fully refurbished to create a relaxed yet stylish atmosphere which is perfect for both business and leisure use. All travelers are well accommodated with extensive facilities, which coupled with the beautiful surroundings and excellent service; also provide a perfect venue for weddings and special occasions. With the excellent motorway networks, the renowned shopping experiences of Leeds and the Meadowhall Shopping Centre can be easily discovered. Whitley Hall Hotel is an ivy-clad, 16th century mansion that provides an elegant and romantic setting north of Sheffield city centre and just 2 miles from junction 35 of the M1. This historic and fashionable hotel has undergone a major refurbishment. It is set in beautiful gardens with mature trees and 2 small lakes. The recently opened Parker Wing offers rooms with Juliet balconies. Delicious food is served in the hotel restaurant which has been awarded an AA Rosette for its high standard of cuisine. Meadowhall Shopping Centre is just a short drive from the hotel, and the M1, M18 and M62 can be accessed easily. Centrally located on Bramall Lane, next to the stadium of Sheffield United Football Club, this 4-star Copthorne Hotel has a large gym, bistro, lounge bar/restaurant and free on-site parking. Opened in January 2009, the Copthorne Hotel Sheffield has spacious modern bedrooms and extensive meeting/event facilities. All rooms are air conditioned, with the comfort and facilities needed by business and leisure guests in Sheffield. This luxury country house has an 18-hole championship golf course, and a brand new fitness facility and swimming pool with spa, steam room and sauna. Bedrooms are situated in the 17th-century Old Hall, and others are located in the Old Stables. Enjoy fine dining in the conservatory. The conference facilities accommodate from 6 to 125 people. Owston Hall also provides the perfect setting for special events. Close to Sheffield's city centre, 0.6 miles (1 km) from Sheffield Station and only 750 metres from Bramall Lane football stadium, this modern hotel offers air-conditioned rooms with satellite TV. The Premier Inn Sheffield City Centre (St. Marys Gate) has a good location, just a 5-minute walk from some of the city's best shops, theatres, bars and restaurants and only a 10-minute walk from the home ground of Sheffield United. The hotel has a 24-hour reception desk and all rooms have satellite TV and telephone/modem points. Some rooms can take 2 adults and up to 2 children (under 16 years). The 2 children also get a free full breakfast when accompanied by an adult eating a full breakfast. An all-you-can-eat buffet breakfast is available each morning and includes scrambled, fried, poached or boiled eggs, and pork or vegetarian sausages. There is also a wide continental selection. The on-site restaurant offers good food and drink at great-value prices. 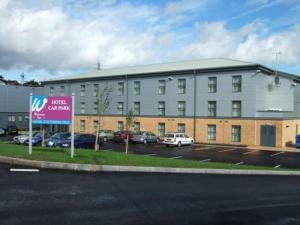 Just off junction 34 of the M1, opposite Meadowhall Shopping Centre, this modern hotel offers great value, with free parking, a restaurant, a bar, and clean, comfortable en suite rooms. The Premier Inn Sheffield Meadowhall is just a short walk from Meadowhall Railway Station and there is a tram stop even closer, with trams running regularly to the heart of Sheffield. The hotel has a 24-hour reception desk and some rooms can take 2 adults and up to 2 children (under 16 years). The 2 children also get a free full breakfast when accompanied by an adult eating a full breakfast. An all-you-can-eat buffet breakfast is available each morning and includes the expected cooked items such as scrambled, fried, poached or boiled eggs, and pork or vegetarian sausages. There is also a wide continental selection. The on-site restaurant and bar offer good food and drink at a reasonable prices, as well as Costa Coffee. Built around a 17th century house, the Hellaby Hall Hotel is an unmistakable feature of the south Yorkshire skyline. Guests discover a rare package of period charm and modern convenience with caring staff, ensuring a comfortable stay. With its 90 tastefully decorated rooms, 8 meeting rooms, banqueting facilities for up to 300 guests, restaurant, and state-of-the-art leisure facilities, including a superbly equipped gym, 20-metre swimming pool and health spa, Hellaby Hall Hotel is the ideal venue for all your needs and is ideally located just off the M18. The tastefully decorated bedrooms reflect our basic philosophy - no compromise on quality. Hellaby Hall Hotel is now a non-smoking hotel. Having recently undergone a 2.5 million-pound refurbishment, this impressive Art Deco hotel is just 0.5 miles (0.8 km) from the town centre and offers free wireless internet and free parking. 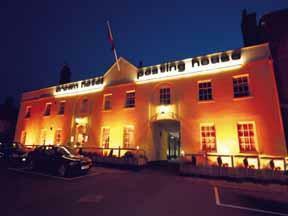 In the summer of 2008, the Earl of Doncaster Hotel opened its new extension, housing 40 brand new executive rooms. All of the stylish and contemporary executive rooms feature luxurious queen-size beds, flat-screen TVs, air conditioning and en suite bathrooms with baths and separate walk-in showers. The hotel's public areas have also been refurbished, with their stylish original Art Deco features carefully preserved. Free wireless internet access is available in all of the public areas. The restaurant offers a comprehensive table d'h?te menu and a bar snack menu is available throughout the day in the licensed cocktail bar. Now the largest independent hotel in Doncaster, the Earl has a great location, situated midway between Doncaster Racecourse and the very heart of the town, just 0.5 miles (0.8 km) from each. Doncaster Railway Station is just one mile (1.6 km) away. There is a large secure car park at the rear of the hotel and parking is free of charge for guests. The family-run Regent Hotel overlooks a quiet park, a few minutes' from the town centre, bus and train stations. Expect modern rooms, free Wi-Fi and reasonably priced quality meals. Doncaster Racecourse, Doncaster Dome and Keepmoat Stadium are a 10-minute walk away. Nearby are Frenchgate Shopping Centre, Doncaster Market and Lakeside Shopping Village. Robin Hood Airport is a 15-minute drive away, and motorway links are 5 minutes away. The hotel mixes 18th-century architecture with extensive conference and banqueting facilities. Previous guests at The Regent Hotel include The Beatles, The Kaiser Chiefs and Chris Moyles. In 12 acres of stunning grounds, yet only 1 mile (1.6 km) from Sheffield City Centre, this 4-star hotel has an ideal location within easy reach of local attractions. Kenwood Hall has a well-equipped leisure club, including indoor pool, sauna, steam room, spa bath and gym. The hotel provides spacious rooms, all with classical decor and many with views of the lake and gardens. Kenwood Hall is within easy reach of Sheffield's many international restaurants and popular shopping district. The scenic landscape of the Peak District and Sheffield City Centre are both easily accessible. There are 12 elegant Victorian-style meeting rooms, perfect for events. Guests have free broadband internet access in the lobby for 1 hour. 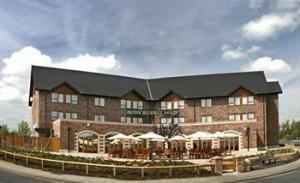 Brooklands Hotel is located in Barnsley, a beautiful and cultured town in Yorkshire on the fringe of the Pennines. Whether you stay for business or pleasure, this hotel meets your every need. Winner of the Hotel of the Year - Yorkshire Tourist Board's White Rose Awards 2005, Brooklands is finalists for this year (announced in September). The stylish, elegant exterior of the hotel creates a striking first impression, suggesting that there are more good things to follow; and you will not be disappointed. Brooklands offers a choice of facilities from conference suites for up to 400 delegates, 77 luxury en suite bedrooms, the famous restaurant The Grill at Brooklands, Blakes lounge bar and an on-site Bannatynes Health Club to help you unwind and relax. Children's times are limited (Tuesday and Thursday 14:30 to 17:00, Saturday and Sunday 11:30 to 15.00). Wired broadband is now available in all bedrooms and conference rooms. Wi-Fi is available in our reception area. Right opposite Sheffield Arena and the Don Valley Stadium, this modern hotel offers great value, with free parking, a restaurant, a bar, and comfortable, modern en suite rooms. Close to junction 34 of the M1 motorway and with excellent access to the region's major road network, the Premier Inn Sheffield Arena is also opposite Ice Sheffield and the English Institute for Sport. Meadowhall Shopping Centre is only 0.5 miles (800 m) away. The hotel has a 24-hour reception desk and some rooms can take 2 adults and up to 2 children (under 16 years). The 2 children also get a free full breakfast when accompanied by an adult eating a full breakfast. An all-you-can-eat buffet breakfast is available each morning and includes scrambled, fried, poached or boiled eggs, and pork or vegetarian sausages. There is also a wide continental selection. The on-site restaurant offers good food and drink at great-value prices. Ramada Encore Barnsley is a contemporary, stylish hotel, with easy access to the M1. Meadowhall Shopping Centre in Sheffield is conveniently a 15 minute drive away. The Hub Lounge, Bar and Restaurant is a relaxing environment, with satellite TV, where guests may enjoy a snack or drink. The restaurant serves excellent food, prepared with local produce. The hotel offers 8 meeting rooms with modern facilities, for business and events. Ramada Encore boasts modern, sleek rooms with en suite facilities, including a power shower, in a contemporary glass tiled bathroom. 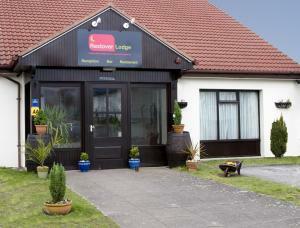 Free broadband access is available and all rooms have a Freeview flat-screen TV. Built around a former 17th century residence and still retaining much original character, with beautiful oak beams, this mellow Yorkshire stone 4-star hotel is ideally located for visiting Barnsley, Sheffield and the stunning Peak District. After a day out and about, relax in the lounge before a delicious meal in the restaurant. Alternatively, head for The Onward Arms, their very own pub featuring low beams and cosy fires, offering meals in a relaxed, informal atmosphere. The Reflections Spa and Leisure Club offers a heated indoor swimming pool, steam room & sauna, gym and Spa treatment rooms amongst its facilities. A modern friendly 40 bedroomed hotel, located within 1 mile of Junction 37 of the m1. Our friendly hotel also has a bar and restaurant and meeting/banqueting facilities. At our modern friendly 40 bedroomed hotel you will be welcomed by our team of staff who will look after you throughout your stay. We cater for everyone staying at our hotel from the discerning business traveller to a family of 4. Ample free car parking is available to all hotel guests. We have meeting & banqueting facilities and can cater for up to 250 delegates or wedding guests all in 1 room. Stylish and contemporary, this modern hotel has a great location, only 800 metres from junction 33 of the M1 motorway and close to Meadowhall Shopping Centre and Sheffield Arena. Easy access to the region's major roads makes the hotel conveniently located for visiting the Don Valley Stadium and the English Institute of Sport. The stunning natural beauty of the Peak District National Park is less than a 30-minute drive away. The facilities include 11 meeting rooms and the Leisure Club, which offers a 17.5-metre swimming pool, a spa bath, gym, steam room and sauna, as well as a range of beauty treatments. The hotel offers on-site car parking at an additional charge and you can start your morning with a reasonably priced full buffet breakfast. On the A631 near Wickersley, between junction 1 of the M18 and junction 33 of the M1, only 2.5 miles (4 km) from the centre of Rotherham, the hotel offers comfortable, great-value rooms and free parking. 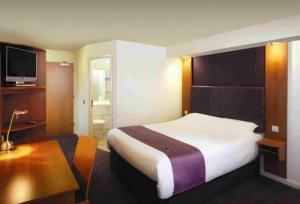 The Premier Inn Rotherham has a convenient location with good access to the region's major roads. The Sitwell Park Golf Club is just across the road. The hotel has a 24-hour reception desk and some rooms can take 2 adults and up to 2 children (under 16 years). The 2 children also get a free full breakfast when accompanied by an adult eating a full breakfast. An all-you-can-eat buffet breakfast is available each morning and includes the expected cooked items such as scrambled, fried, poached or boiled eggs, and pork or vegetarian sausages. There is also a wide continental selection. The on-site Beefeater restaurant serves freshly cooked char-grilled food. Step into The Crown and you will immediately discover a chic, idyllic retreat from the hustle and bustle of everyday life. This highly contemporary and creative environment is the ideal setting for those who appreciate the finer things in life. The Crown is set in a picturesque town of Bawtry which is set on the borders of South Yorkshire, Lincolnshire and Nottinghamshire, and within easy reach of Doncaster, Sheffield, York and Leeds. This modern property, set in beautiful countryside, is near to the town centres of Rotherham and Doncaster, with junction 37 of the A1M only 3.5 miles away. Independently owned and run, this is the perfect location for business or a long relaxing break away, where you will find real quality and value-for-money. The hotel is beautifully designed and co-ordinated, being furnished in a simple but luxuriously comfortable style. Guests can relax and enjoy supreme comfort and dedicated professional service. Complimentary leisure facilities are available at the nearby Dearne Valley Leisure Centre, this includes full use of the swimming pool, gym facilities and sauna. Park Inn Doncaster is a contemporary hotel set in a business park, conveniently positioned just off the M18, 1.5 miles from Doncaster Train Station and Doncaster City Centre. The Park Inn Doncaster is just a 2 minute walk from the Lakeside Designer Shopping Outlet, with its many shops and restaurants. Local attractions include the Sports Arena and Doncaster Race Course. Each of the comfortable, spacious bedrooms has a plasma-screen TV and a luxurious walk-in power shower. Wi-Fi internet access is available in all rooms and throughout the hotel. Relax over a drink in the Lobby Bar with its large flat-screen TV or dine in the comfortable setting of the hotel bar and grill. There is also a large function room with Wi-Fi access, suitable for conferences.